Medium sized pieces of tumbled Sunstone, measuring 20-30MM approximately. 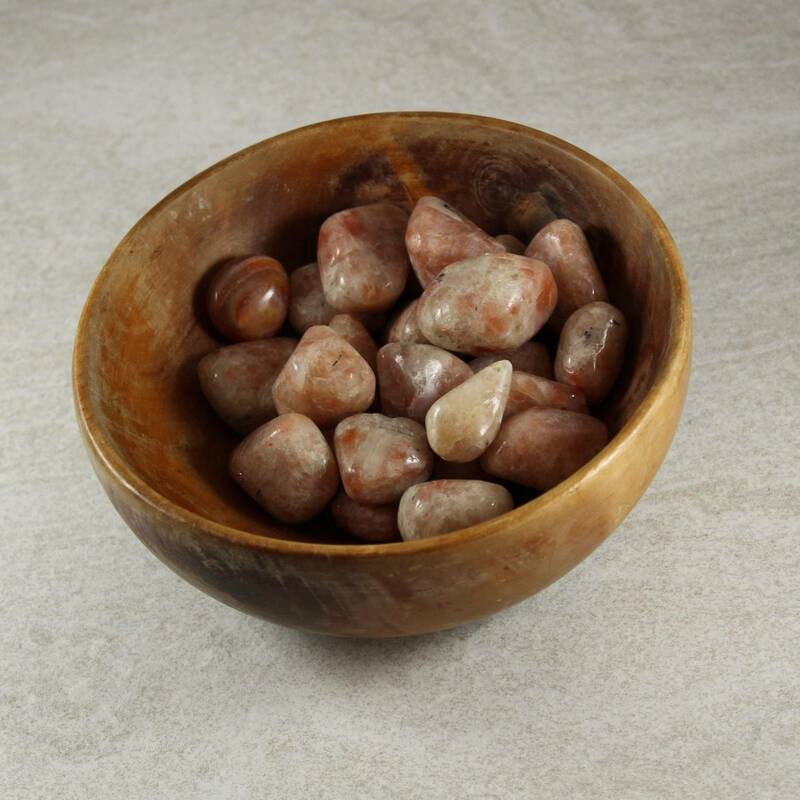 Beautiful Sunstone tumblestones, measuring between 20 and 30 MM at their longest point. 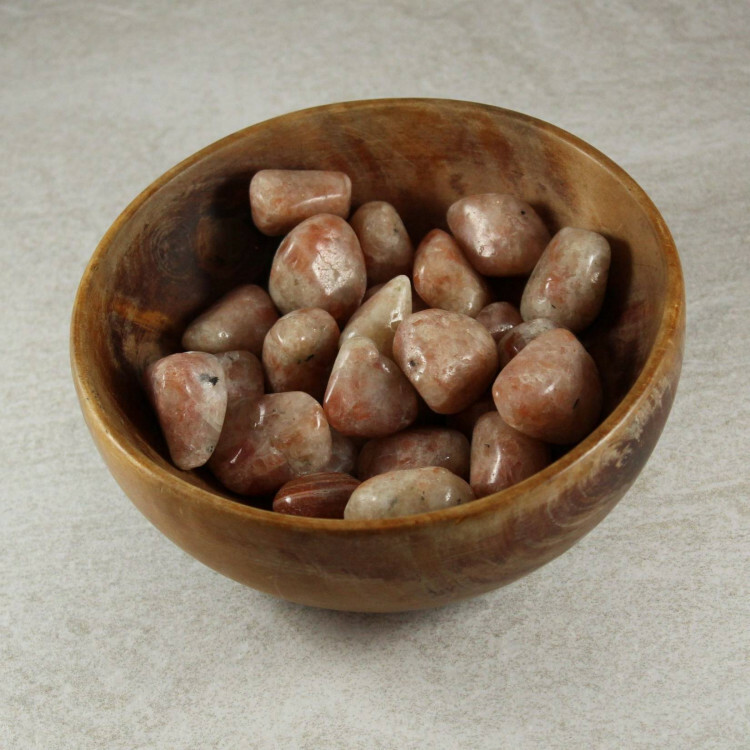 These tumblestones look amazing in a small bowl or vase – as they contain metal in the form of Copper or Hematite inclusions we do not recommend using them as fish tank or aquarium gravel, though. They contrast really nicely with red and black stones. We do not currently have a reliable source of these tumblestones, unfortunately. 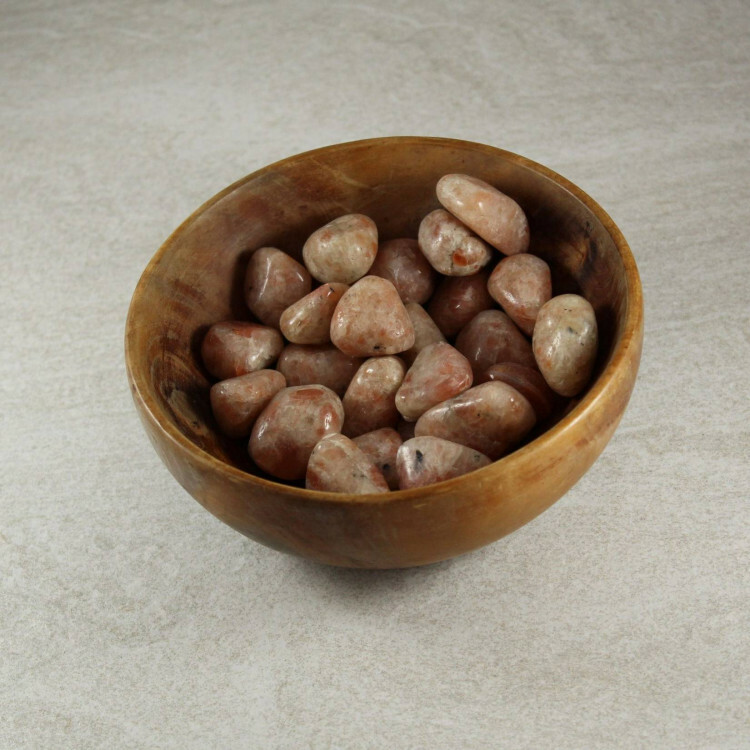 Because of this, we currently sell these tumbled stones as single pieces. For more information about Sunstone and a list of our related products, please check out our main Sunstone page.